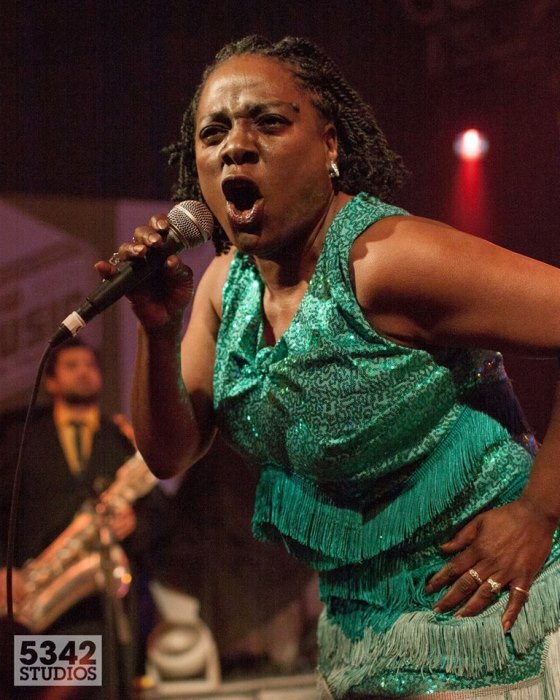 One of the great losses in music the last few years was the magnificent Sharon Jones, who has had a huge impact on my ear. Like many women of color, Jones faced a number of challenges and setbacks but none of them slowed her down for long. And that included the cancer she battled right up until the very end. Jones passed away last November. She set an amazingly high bar for musicians and human beings.. and I was deeply impacted by her passing. I cannot describe how very pleased I am that Daptone Records will release the new full-length album, Soul of A Woman in two weeks (Nov 17). This is your advanced notice. Expect sunshine. Sharon was a catalyst. And a harbinger of change in music. She helped usher classic-sounding arrangements back into contemporary music. And in doing so, she was embraced by many tens of thousands of multi-generational fans. She was a motivation speaker through song, as uplifting as she was entertaining. I cannot wait for new material!